Because I didn’t reject them last time though I didn’t accept their offer, they came to my house again several days later. Upon entering the room, a man who was in charge of the Three-Self church asked me with a smile, “Sister, have you thought it through these days?” I thought, “Do you still want to entice me to go back to your church? I will not be fooled by you this time.” So I straightened up and said, “I have decided that I will follow Almighty God to the end. Since God has come to carry out the new work, I cannot lag behind it. You don’t need to come to persuade me anymore; I have discernment myself. Don’t come again. As for the house, there is no need for you to worry about it.” At my words, he turned hostile all at once. Staring at me, he said ferociously, “I tell you, now the government is trying to arrest the believers in Almighty God everywhere. If the arrested ones don’t come clean, they can beat them to death with impunity. And I also warn you, if you dare to go to our church preaching the gospel again, I will call the police to arrest you!” At the sight of his ferocious look, I felt somewhat afraid, and I thought, “Is that so serious? What if I am arrested by the CCP and beaten to death?” But immediately I realized that there was Satan’s scheme in it and that Satan was trying to use my weakness, the fear of death, to attack me. At the thought, I prayed to God in my heart and asked Him to guide me to overcome Satan’s temptation. Then the words of the Lord Jesus occurred to me: “And fear not them which kill the body, but are not able to kill the soul: but rather fear him which is able to destroy both soul and body in hell” (Matthew 10:28). 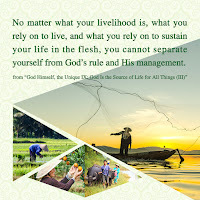 And these words of Almighty God also occurred to me: “Man’s life originates from God, the existence of the heaven is because of God, and the existence of the earth stems from the power of God’s life. No object possessed of vitality can transcend the sovereignty of God, and no thing with vigor can break away from the ambit of God’s authority. 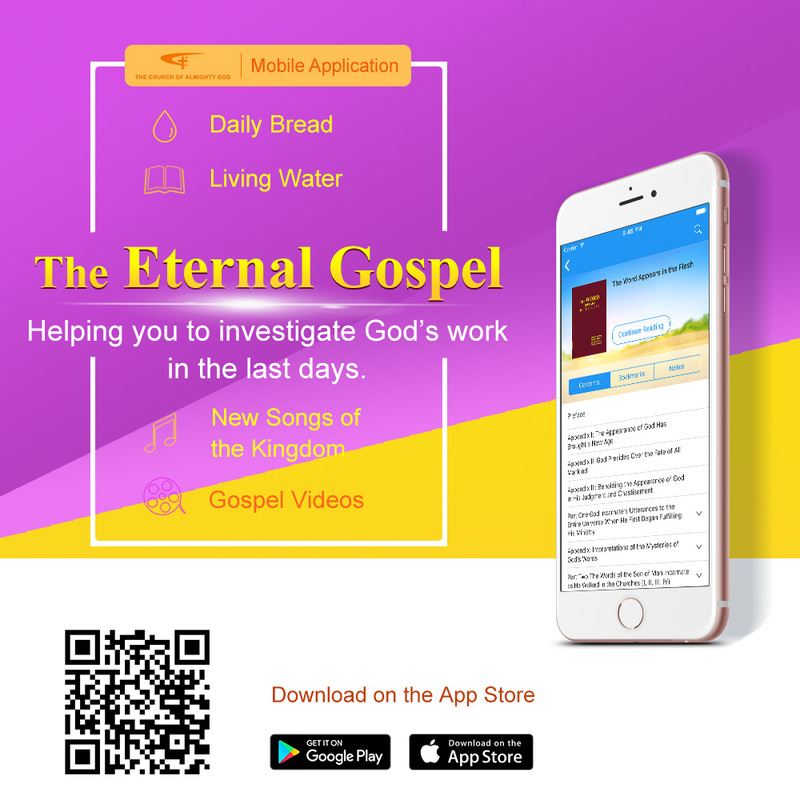 In this way, regardless of who they are, everyone must submit under the dominion of God, everyone must live under God’s command, and no one can escape from His control” (“Only Christ of the Last Days Can Give Man the Way of Eternal Life” in The Word Appears in the Flesh). The words of the Lord Jesus and Almighty God made me strong in the spirit immediately. “Right! What shall I fear? No matter how ferocious the CCP, it can only kill my body but cannot kill my soul, for man’s life is controlled by the hands of God and the CCP has no right to decide anyone’s life or death. Whether I will be arrested for believing in God or not is also in the hands of God. I cannot bow to Satan. This is the time God tests me and also the time Satan is making a bet with God. I will stand firm in my testimony to God, and will never compromise with Satan!” When I thought of this, I held myself upright and said to them with justice and severity, “The life and death of each person are determined by God. Don’t threaten me with the arrest of the government; I am not afraid of that. No matter what you say, I will still believe in Almighty God and preach the gospel to my brothers and sisters, for that is my duty. No matter what I encounter in the future, it was predestined by God, and I am ready and willing to accept it. If you are not afraid of becoming Judas, the betrayer of the Lord, just go and report!” At my such words, all of them were dumbfounded with anger, and they left in dejection. After that, they never came again. I saw the power of God’s word. God’s word is truly a sharp sword and can defeat Satan! Later, I devoted myself heart and soul to the gospel preaching. I am grateful to God for saving me. If God had not moved the sister to come again and again to fellowship about His words with me, when faced with Satan’s such frenzied disturbances, I couldn’t have overcome it. May all the glory be to Almighty God!